DJ's Book Corner: Procceds benefit the American Heart Associate. 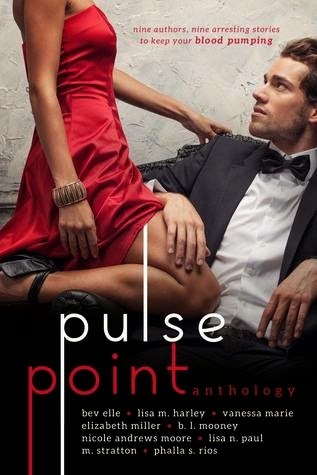 Give today by purchasing PULSE POINT, a Romance Anthology by 9 Great Authors! Procceds benefit the American Heart Associate. 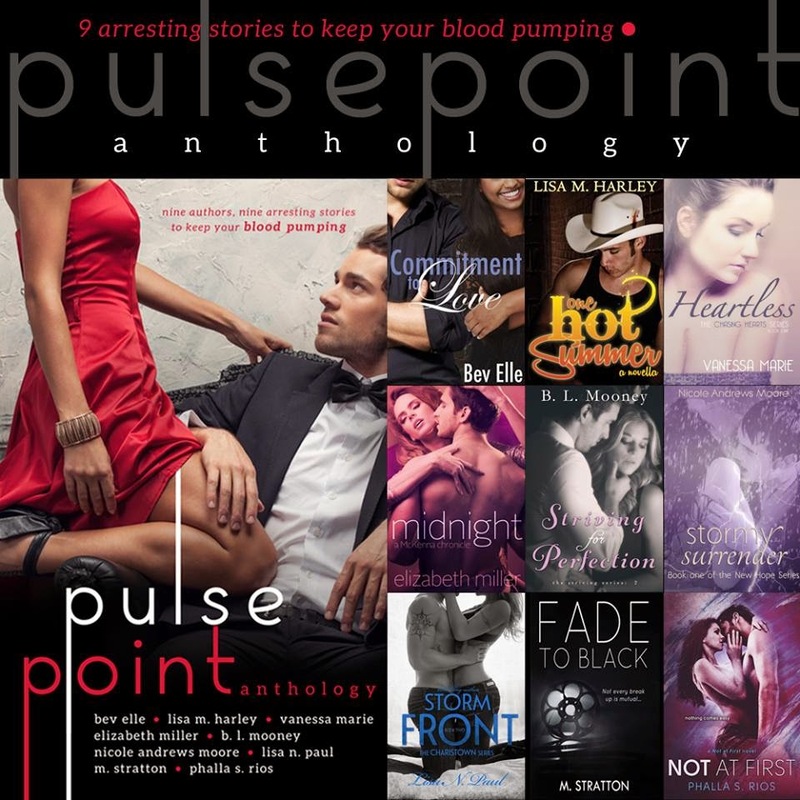 Give today by purchasing PULSE POINT, a Romance Anthology by 9 Great Authors! One destined meeting. It alters journalist, Charlise “Charlie” Carter’s course. When asked to work on a Republican candidate’s campaign, she’s unprepared for the intense reaction she has toward the young, handsome presidential hopeful, Colin McKenna. Unable to resist Charlie’s allure, McKenna succumbs to his desire and they find themselves exploring a passionate, physical relationship that is soon tested by not only their own secrets, but his political advisers. Falling for two men at the same time was something Angel Mabbott never expected to happen. Leaving a past full of pain and loss in California, Angel is determined to make something of her life when she starts college in Minneapolis. But life takes a turn when she finds herself torn between Kevin and Roman. A preacher’s daughter is torn between passion and her faith convictions when she meets a handsome police officer who is a womanizing commitment-phobe with abandonment issues. “Whatever you say, Mrs. Mason. It won’t happen again.” He mumbled under his breath, “Until you ask for it.” AnaBelle Mason is a lonely widow trying to run the farm her husband left her. Tray Thompson is a college student majoring in beer and girls. Will One Hot Summer together change their lives forever? She was a single mother, happy running her gallery, he was a famous movie star who never wanted to get married. Neither can deny the instant attraction. Neither knew there was an ex-lover who’d do anything to make sure they stayed apart. She thinks perfection is a gimmick. He thinks it’s an illusion. Can they get past each other’s imperfections to make it work? Charlie has good reasons for keeping her bruised, damaged heart to herself, but Sam will do whatever it takes to break down her walls and force his way in. Until they discover that their relationship is off limits. Will Charlie deny her own happiness to protect everything her teacher has worked for? In a broken heartbeat. Joe Masters, a fiery ginger, had a smile that could charm the pants off of any woman he met. Marti Whitaker was recently burned by a charming man. Their romance promised to be stormy unless one or both would simply surrender. Love knows no bounds when two people are destined to be together. One fights to maintain the distance; while the other battles to close the gap. Will Ashley Kynde and Ryan Baker move forward together or will they finally close the last remaining door to their past? SHARE this post via Facebook or Twitter and COMMENT below with the link for a chance to win an eBook copy of PULSE POINT!